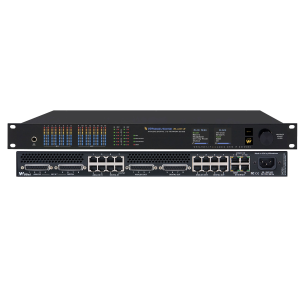 The MAGIC AC1 XIP Audio Codec is equipped with an ISDN BRI, a LAN and an X.21 interface and supports the G.711 (3.1-kHz), G.722 (7-kHz) and ISO/ MPEG Layer 2 coding algorithms. ISO/MPEG Layer 3 (15-kHz), standard apt-X, enhanced apt-X und AAC-LD are optionally available. From software version 3.000 upwards MAGIC AC1 XIP provides the so-called ISDN/SIP Auto Mode. Using this mode the system detects automatically via which line interface (ISDN or LAN) a call is received. 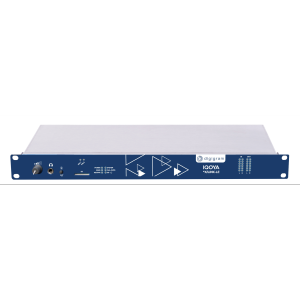 The MAGIC AC1 XIP Audio Codec can use up to 2 ISDN B channels with a maximum data rate of 128-kbit/s for the transmission of a high quality Audio signal. The required inverse multiplexing procedure is also defined in the ITU-T J.52 standard. The inverse multiplexing procedure guarantees a minimum transmission delay. A remarkable feature is also the transmission of a command signal with 3.1-kHz or 7-kHz bandwidth in parallel to the transmission of the high quality Audio signal. 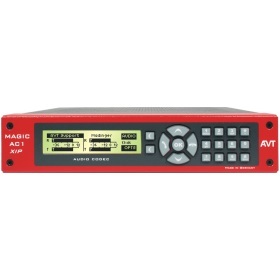 Due to the implemented Auto Dynamic Sync (ADS) functionality, the MAGIC AC1 XIP systems detect the parameters of the calling or the called codec for 1B and 2B ISDN connections and adapt to them automatically. ADS supports e.g. codecs from ORBAN (Musictaxi), CCS, TELOS as well as all 7-kHz and J.52 Codecs. MAGIC AC1 XIP supports DHCP for a dynamic allocation of IP addresses as well as the DNS protocol, with which the allocated IP address is converted into a domain name. For each MAGIC AC1 XIP unit, a unique system name can be entered, under which the Audio Codec can be reached within the network. In this way, the user does not need to remember the IP address of the Audio Codec, which is allocated dynamically via DHCP. Additionally, the DNS Protocol ensures that the system is still available under the system name within the network, even if the IP address changes. In the X.21 operating mode the MAGIC AC1 XIP Audio Codec provides a coded Audio signal with data rates from 8-kbit/s to 384-kbit/s. 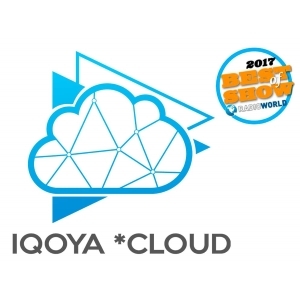 All ISO/MPEG Layer 2/3 data rates are provided. After the Audio algorithm is selected the unit measures the X.21 clock and adapts the Audio Codec’s data rate to the X.21 line clock. PAD can be transmitted together with Audio data.. The system can be operated via the front keypad and display. 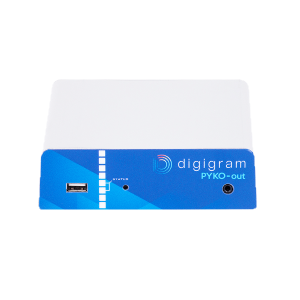 Alternatively, a comfortable configuration and control is possible with the MAGIC DC7/AC1 Windows PC Software or the MAGIC DC7/AC1 LAN Windows PC Software. The LAN software allows simultaneous monitoring, configuration and control of up to 40 Audio Codecs within a network. Both Software Versions are included in the delivery.